This is a guest post from Joanna Penn from TheCreativePenn.com on how you can build multimedia products. I’m really excited to be sharing Joanna’s thoughts here. She has been a pioneer in exploring ways writers can learn to be more agile marketers, and Joanna’s blog, courses and multimedia instruction have helped thousands of other authors. She also has a series of free videos and a webinar available in early November which you can sign up for here. I know I’m going to be attending, as I’m sure I’m going to learn something valuable. Joanna’s last post here was Print Books: The New Vanity Publishing? I want to excite you and expand your mind about the possibilities available to us in an age where we can reach a global audience with our message. With the internet, we can sell digitally without the cost and hassle of managing physical product, and make an income from our intellectual property that goes beyond just the book. For non-fiction authors in particular, the book is only the foundation of a potential business you can develop around your expert knowledge. The price point for books is also much lower than for multimedia products that include video and audio so if you want to grow your income and business globally, then expanding into teaching online is a definite must. So how can you take the same information and turn it into something that creates value for your customers but also becomes another stream of income for your business? 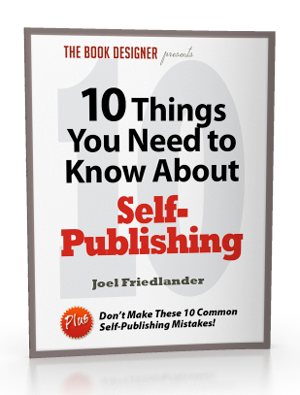 If you have a book, you already have a structure, but you can also create a product even if you don’t have a book on the topic, for example, Joel’s own Self-Publishing Roadmap course was constructed from his extensive knowledge rather than a print book. (a) Mindmap your ideas, either on paper, or use software if you enjoy using it. This brainstorming will enable you to map out everything to include in the course, then you can then turn this into a Word document and fill in the blanks with detail. (c) Record your speaking & get it transcribed. If you’re a speaker, you may already have recordings or you could record yourself talking about the various aspects of your material. Get this transcribed or use text-to-speech software like Nuance Dragons and you will have a document to use as a first draft. (d) Use Scrivener to write and organize your material. I’m a huge fan of this software and writers who convert often fall in love with it. With drag & drop functionality as well as compiling options for different ebook formats, it’s definitely worth a try. Many people produce PDF guides using text-only material and sell them for more money than an “ebook” sold on Amazon as their initial product. Or you can use the PDF material as part of your multimedia course as the foundation to the multimedia aspects. (a) Screen capture which you can use to teach from slides or from software/websites/anything else on your computer. Use Camtasia for the PC or Screenflow for the Mac. (b) Video camera shots like talking heads, demonstrations of physical skills like yoga, on location shots etc. You don’t need advanced hardware anymore and you can get a cheap video camera like a Flipcam or just use your iPhone. You can edit with free tools like MovieMaker on the PC and iMovie on the Mac, although I use Screenflow for editing as well as creation. You can go all the way to the other end of the scale with a full production and editing kit but it’s best to start small for the sake of your budget and your sanity! (c) Interviews. You can use video interviews with experts in your niche for blog content but also for your products. Joel does video interviews with people like John Kremer on book marketing but he also includes premium video interview material in his Self-Publishing Roadmap which adds value to the course. You can use Skype for free video calling and then Ecamm for the Mac and Pamela for the PC in order to record in the split screen mode. (d) You can even deliver your content through webinars using a model like Joan Stewart from Publicity Hound, interviewed by Joel here. Use a service like GoToWebinar and record the session using screen-capture software to turn it into a product. For more on how to create video content, check out 15 steps to create great blog videos. Again, you can include audio as part of your marketing strategy by creating a podcast, but you can also use the same tools to create audio for your product. (a) Create audio from the video. If you’ve produced videos, it is always a value-added step to turn them into audio mp3 files as some people prefer to listen rather than watch, and this way they get both options. I use Ecamm Movie Tools on the Mac to turn my movies into mp3s for my podcast but also my products and there are lots of freely available tools for this step. (b) Create audio from scratch. You can use a free tool like Audacity to record and also edit any audio you are producing. Because so many people listen to audios on iPods, I create mp3 format and often use iTunes to add meta-data to my audios so the description is useful when people are playing it. So now you have text, video and audio material, you need to create a place where people can access your product. Again, there are solutions ranging from simple to quite complicated. (b) Create a password protected page on your own hosted site which is how I sell courses from my blog. I create a separate page with links to all the content, then I use e-junkie.com to sell access to that page. (c) Use a custom install of WordPress with a separate theme and a membership site plugin like Digital Access Pass. This is the type of setup Joel uses for the Self-Publishing Roadmap and it means the content is able to be organized, delivered at different times and is much more secure. This is definitely the most professional and premium approach but it does cost you time and money to organize, again, perhaps start small and work up. (b) Shopping cart. There are loads of shopping carts but the easiest and cheapest I have found is e-Junkie.com which is just $5 a month for up to 10 products. Amazing! (c) Payment system. I use Paypal integrated with e-Junkie and it is the most recognized mechanism if you don’t want the hassle and cost of taking credit card payments through other merchant products. One little tip is to get Paypal setup well in advance as there are anti-fraud hoops you need to go through before Paypal lets you trade and ‘download’ money to your bank account. But once it’s sorted, it’s magic! (d) A way to market your product. Many of the tips on this site for book marketing are just as valid for marketing products, and in fact an authoritative blog and active social networking can be even more effective for products. You can also have a launch process that includes value-added bonuses like video content as Joel does in his Self-Publishing Roadmap launch and I am doing for ‘Turn Ideas Into Cash’. There are so many options for creating multimedia products which is fantastic because it means you can find a system that works for you, and expand your business with a new stream of income. If you’re overwhelmed, start with a basic PDF guide, or a webinar which you record and produce as a basic video product. You never know what you can achieve unless you try! What’s holding you back from creating multimedia products? Please do leave your comments and questions below. Do you want to turn your book into a multimedia product and make your business scalable and global? Join Joanna Penn for a series of free videos and a free webinar on ’10 steps to build a multimedia product’. Images: iStockphoto, Flickr CC Marea, Flickr CC Dinokart by Mugly. Links to Joanna’s webinar are affiliate links. An informative and inspiring post. I am looking forward to the initial videos & webinar, followed by the full multimedia course. Any news on the price yet? This post is filled to the brim with helpful and insightful tips for writers! Thanks Joel and Joanna! A wealth of information here. Looking forward to this. Thanks, Joel.